Even in an age of economic prosperity, there are young people who live on the edge of western societies and who are held accountable for their every indiscretion, sometimes even for those of others. 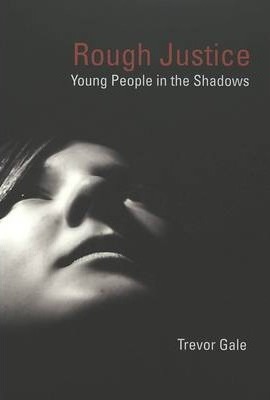 This book employs a sociological imagination to make connections between the public issues and private troubles of youth living on the street. The narrative is pedagogical in intent, seeking to make sense of seemingly antisocial behavior, understood in the context of broader social, political, and economic concerns. In particular, it speaks to the «helping» professions of education, law, social work, nursing, psychology, and medicine. The Author: Trevor Gale is Associate Professor of Education at Monash University, Australia. He received his Ph.D. in policy sociology from the University of Queensland, Australia, and was awarded the Grassie-Bassett prize for outstanding achievement by the Australian Council for Educational Administration. In addition to numerous articles published in international journals, he is co-author of two books: Just Schooling and Engaging Teachers. He is also editor of the journal Critical Studies in Education (formerly Melbourne Studies in Education) and president of the Australian Association for Research in Education (AARE).